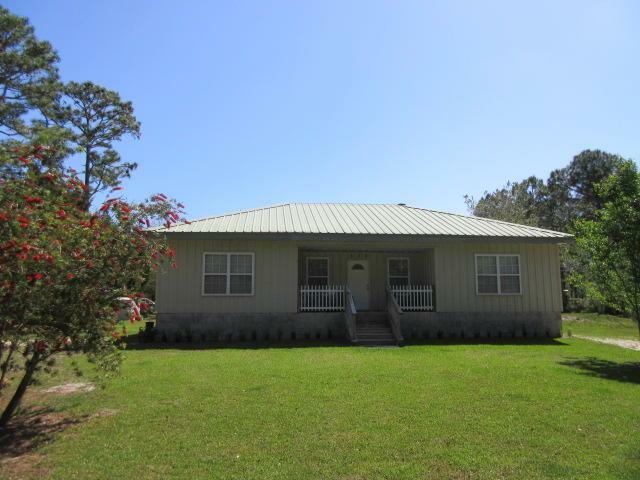 Fantastic 3 bedroom, 2 bath home on a big lot with NO HOA fees!! There is plenty of room for a pool and to build your dream garage. This home is beautifully maintained and features a new 5 burner gas range, wood grain allure flooring and 2 water heaters, a basically maintenance free exterior with metal siding and a metal roof, you'll never need to paint! Great peaceful front porch as well as an open back deck with a handicap-able ramp, privacy fence on the east end of the property and beautiful landscaping. The location is close to shopping, schools, restaurants, beach and bay access and employment opportunities.